Transport for London are introducing an all-night service for parts of the London Underground, for Friday and Saturday nights from September. They have today unveiled the official map for the service, showing which bits of which lines will run all night, with trains running every 10-20 minutes. The Night Tube will most benefit people getting back to outer London after a night out, replacing slow and tedious night bus services a fast and efficient underground service – Morden suddenly looks a lot closer to Central. It will also be useful for those with jobs requiring early starts on Saturday and Sunday mornings, such as Heathrow Airport workers. 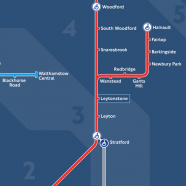 TfL is aiming to add more parts of the Underground network, as well as the DLR and London Overground, in years to come. TfL have decided not to change the basic design of its famous Beck-legacy tube map for the night edition. 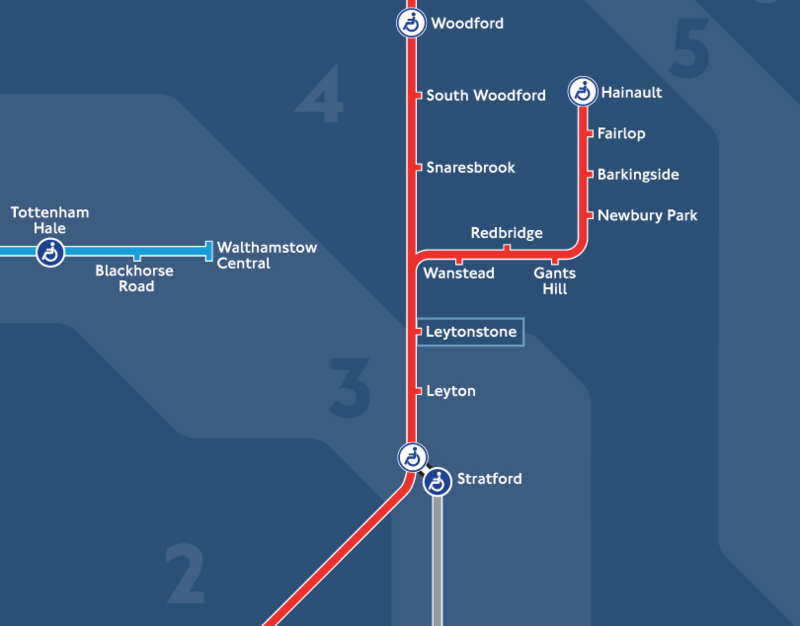 The zone areas remain, even those for Zones 7-9, even though there are no night tube lines that go that far in the initial service. The River Thames remains as the standard reference point. The background is made up of shades of blue, rather than the normal white, or the black background that perhaps have been the alternative choice. Station names are in white and the lines themselves are enclosed in white buffers (aka halos) to make them stand out. 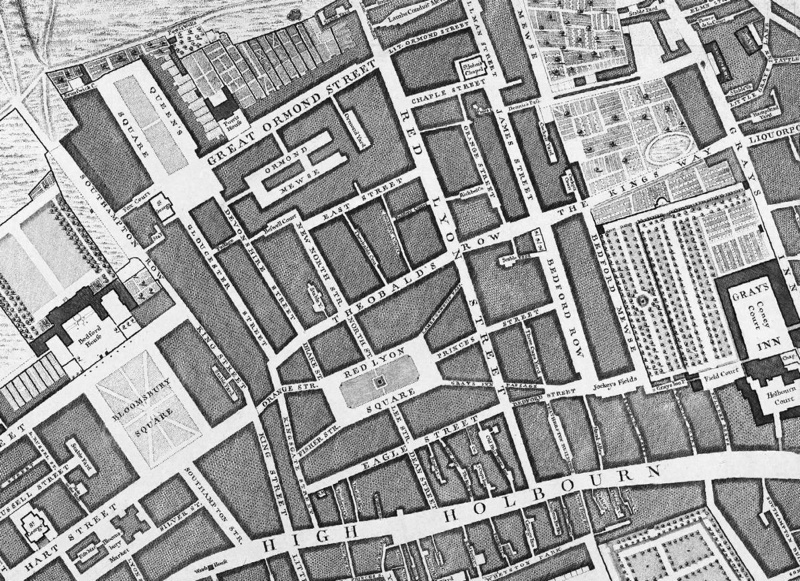 The buffers and the white-on-blue text is somewhat less legible at a distance (see the small picture of the full map, below) but clear to read as normal, when viewed close up (as in the excerpt above). 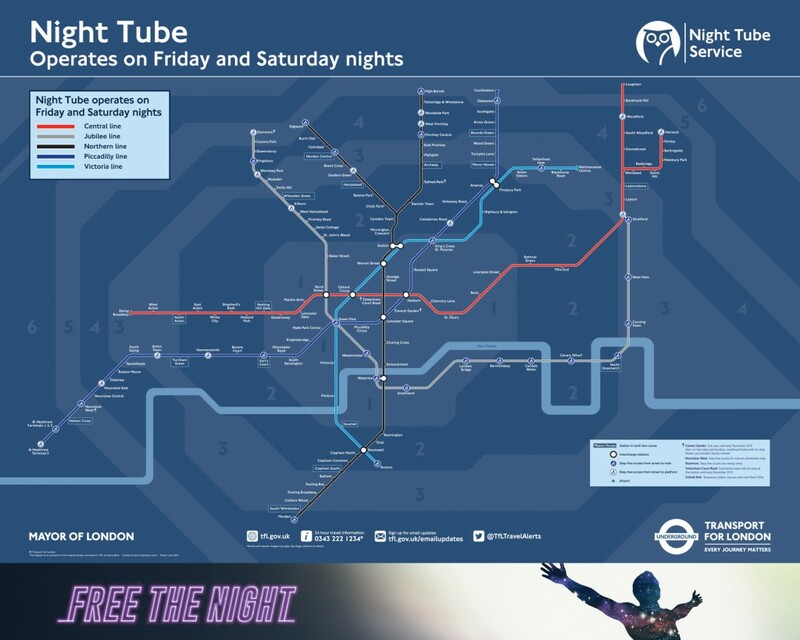 More fundamentally the idea of producing and prominently displaying a dedicated tube map for the night service, while having the other alternative networks (e.g. the step-free access network) wrapped up into the main map, is interesting – likely, having the dedicated map will help with awareness of the service. Not showing the non-night lines at all is brave – people navigate the map by looking for particular shapes and patterns, and the appearance of familiar places without their regular geometry (e.g. London Bridge station without its Jubilee/Northern line square crossing) could be confusing. The lines that are there retain their kinks, even where they have no other-line night service to bend around. The infamous new probably-for-Crossrail Central Line bend is retained. Personally, I would have included the lines for which there is no service in a subtle unbuffered grey, but perhaps that would have highlighted how much of the network is not getting the night service. I would also have included a “National Rail” marker for Victoria, as the Victoria to Gatwick/Brighton mainline service also runs all night. Anyway, these are just quibbles. 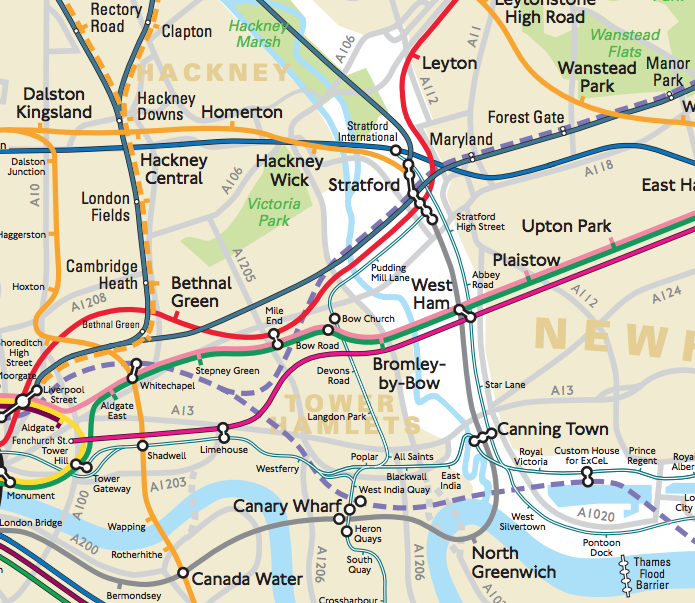 As a new map, I rather like it, and having an official tube map without a white/grey background is something of a milestone. 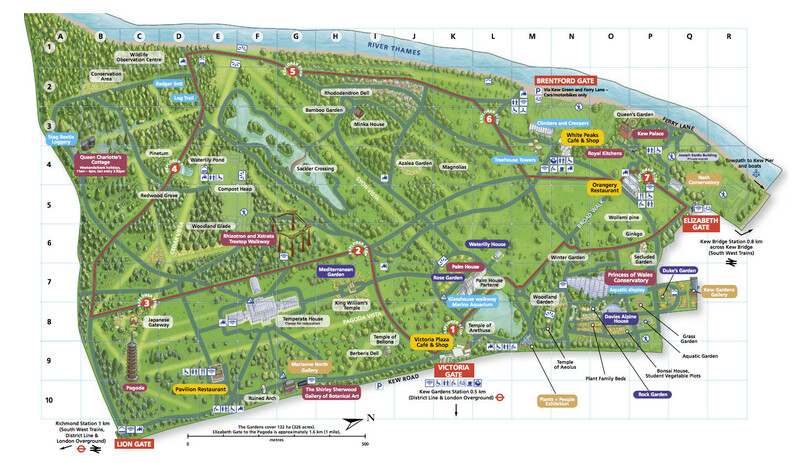 Full-size version of the map.